My enthusiasm for Apple products waned in 2016. The reasons vary. Lack of money, disappointment over product changes, compatibility issues with older hardware, non-removable batteries, and more. So instead of lusting over Apple-ware, I have mostly stood on the sidelines often asking myself “why”. My lack of enthusiasm for Apple products can also be reflected in how little I have posted to this blog in the past year. Here is a list of Apple products that I passed on buying in 2016. Apple iPhone 7: The news that the newest iPhone did not come with a traditional headphone jack was a huge turn off for many consumers. Why did Apple remove the headphone jack? “Courage” says CEO Tim Cook. Bah! It is just another way for Apple to force change and push people into buying their expensive, proprietary Apple Air Pods or whatever headphones they sell that only work with this crippled phone. Throw in a non-replaceable battery, and you got a major “no sale” from me. Needing a new cell phone this year, I opted for a Samsung Galaxy J7 with removable battery, expandable memory, Android and a lower price which beats Apple by a long, long mile. Apple Air Pods: This is the proprietary headphone for the Apple iPhone 7. Just came out this year and so far works newer iPhones, iPod Touch 6 and some iPads. It is expensive @ $159 each. Battery issues are being reported on them. Sorry. No Sale. Apple Watch: Besides being expensive, to get the full benefit out of this device you also have to have an iPhone. Who needs a smart watch when there are smart phones? Plus if I want a wrist watch there are plenty of traditional and cheaper alternatives out there. Apple iTunes 12: It came pre-installed on my upgrade to OSX 10.10 and frankly I avoid using it on my 13 inch MacBook Pro because of the many issues I read about this, most significantly the ones surrounding the subscription based Apple Music and the DRMing of music you have in your iTunes library. Not risking my 22,000 song collection on this. Apple Music: Really? $10 a month? For streaming music without commercials? Sounds good but really it’s not. The service messes up your music library with DRM and there are tons of other, better streaming music alternatives out there including many free options. Apple TV: It may be nice to have one, but like anything else that streams, there are other, less costly options out there. Plus I don’t have a TV so this is currently useless for me. Apple iPad (all models): The concept of the iPad is a very good one. I often wonder if I need one as many of the functions the iPad can do are already duplicated across several other devices. The iPad may be best suited for book and magazine reading, web browsing, casual gaming, plus viewing photos and videos while in bed. So far not compelling enough for me to want to get one. Apple iPod / iPod Touch: Believe it or not, Apple still makes iPods. I think they are great little music / audio devices. I own 7 of them. My latest include a 160GB iPod Classic from 2014 and an iPod Touch that I bought in 2010. Six of the 7 work perfectly fine when connected to an AC power source. That’s the rub. These devices work marvelously well and have lasting durability except for one major thing: Built in Battery. Ugh! Except for the iPod Classic, my older iPods which include an iPod Nano, iPod Mini, iPod Photo and 2 iPod Shuffles barely hold a charge with their non-removable, built in batteries beyond a maximum of 20 to 30 minutes. It would have been better if there was a way to replace the batteries to keep these devices running as intended, which is portability for on the go audio consumption. Will I buy an iPod in the future? Not likely. MacBook Pro / MacBook Air / MacBook: These are the three current laptop computers in Apple’s line-up. With the introduction of the 2016 MacBook Pro models, my enthusiasm for this line has significantly waned. I hate it that Apple took away several ports over the years with these Macs. No DVD/CD RW drive, no ethernet port, no firewire, no thunderbolt, no HDMI, and now no standard USB ports and no SD card slot in the latest MacBook Pro. Plus the price went up? Ding dong. No sale. Sorry. I think a high end Chromebook which is cheaper than most Mac laptops may be in my future. 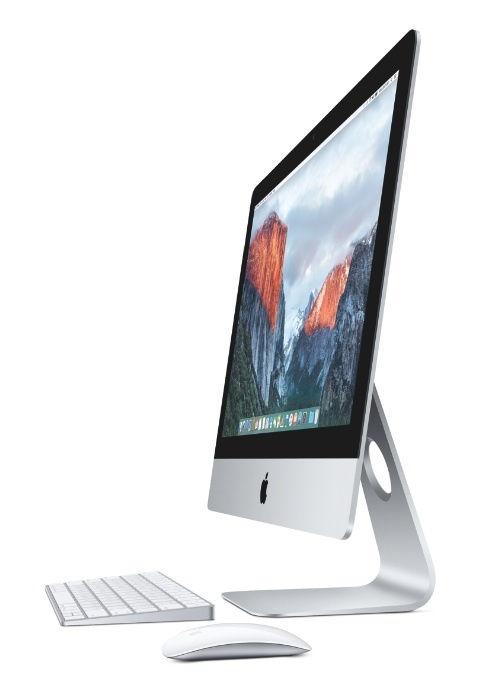 Lastly the Apple iMac. This is one of the few Apple products that I may seriously consider when I have to buy a new Mac. The current model which was introduced in 2015 have large, beautiful screens, and some of the traditional ports I expect to find on a Mac including ethernet, USB, Thunderbolt, SD card slot and headphone jack. Sadly the newest iMacs lack a built in optical drive. Sad. I still like the Mac OS experience enough to still consider an iMac as a future purchase. An alternative may also be the Apple Mac Mini which is still in the line-up. I would not be buying the high end Mac Pro “rubbish can” computer which is extremely expensive and geared toward power users such as video movie producers. There you have it — my 2016 list of Apple products that were not urgent enough for me to buy. Maybe things will be better in 2017. This entry was posted in Apple, Apple TV, Chromebook, Commentary, iMac, iPad, iPhone, iPod, iTunes, Mac Pro, MacBook, MacBook Air, MacBook Pro, Watch and tagged Apple, computer, iMac, iPad, iPhone, iPod, iTunes, Mac Mini, MacBook, MacBook Air, MacBook Pro, Macintosh, MacOS, OSX, Watch. Bookmark the permalink.